MSRP: $72,400.00Dealer Discounts: $10,000.00 Dealer Discount of $10,000.00 has been applied. 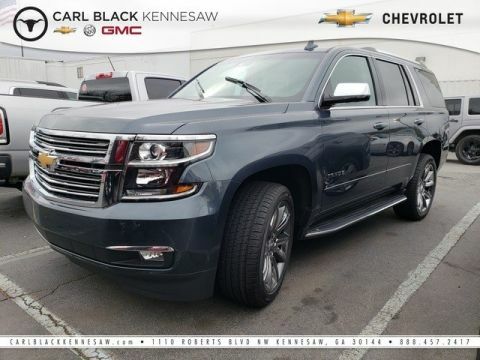 Price and special offer are subject to change The 2019 Chevrolet Tahoe has all the creature comforts and all the capability. 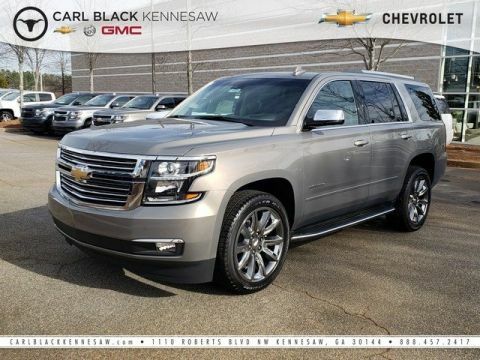 With its sculpted exterior and confident, athletic stance, the Tahoe commands attention. Inside, the available soft touch leather-appointed interior surrounds the driver and passengers with premium amenities and comfort on any drive. Be ready for anything with available power-release second-row and power-fold-flat third-row seats, and up to 94.7 cu. ft. of cargo space. Not to mention comfortable seating for up to nine, available 12-way power-adjustable heated, ventilated front bucket seats, available heated second-row bucket seats, 110V power adaptor and available hands-free programmable power liftgate. The Tahoe features a 5.3L V8 engine that offers impressive fuel economy, combined with maximum towing capability of up to 8,600 lbs. 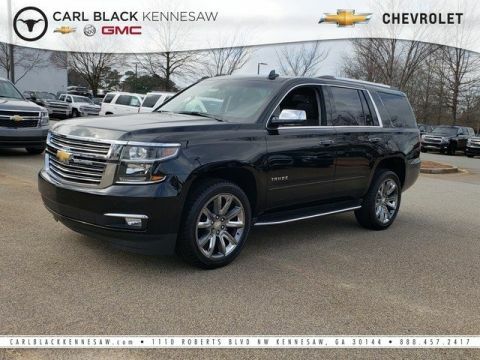 You can also choose a powerful 6.2L V8 engine that’s ready to take on the big jobs with 420hp. 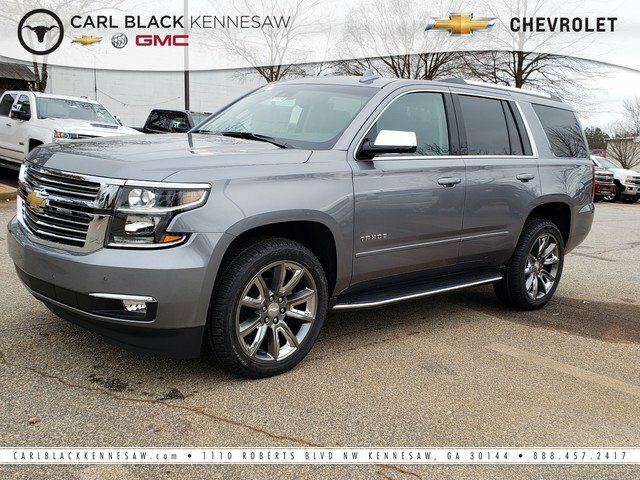 The Tahoe offers a range of convenient features for staying connected on the road, including available 8in reconfigurable cluster with driver information center, available head-up display, rear-seat entertainment system with Blu-ray, infotainment system, Apple CarPlay and Android Auto compatibility, built-in Wi-Fi, myChevrolet app access, up to 7 USB ports, phone integration, 110C three-prong outlet and wireless charging. You’ll also find a comprehensive suite of safety features such as low speed forward automatic braking, forward collision alert, safety alert seat, rear vision camera, rear cross traffic alert, rear park assist and lane change alert with blind zone alert.